I get by with a little help from my friends, as the Beatles would say. 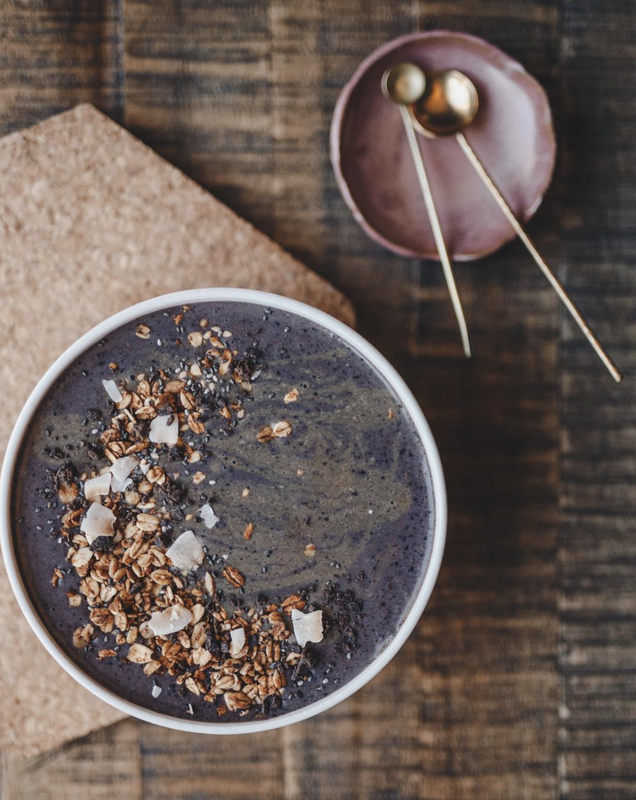 This lovely smoothie bowl was crafted as I looked through my kitchen and saw a bunch of gifts. I’m so grateful to know so many inspiring food producers, metal-smiths, and potters! As I alluded to you in my last post, I have taken the leap away from my day job to work on the Curated Feast, full-time. My last job was in a nonprofit supporting organic agriculture research, so organic and regenerative farms and producers remain close to my heart. Also thinking of my friends at @justdatesyrup, one quick fun fact with is that the botanical name of the Date Palm is Phoenix dactylifera. The world dactylifera itself comes from the Greek words daktylos, root for both date and finger, and fero means "I bear". So the date palm is the Phoenix who bears fingers... or dates! And this smoothie bowl is definitely my fresh start/Phoenix emblem today.